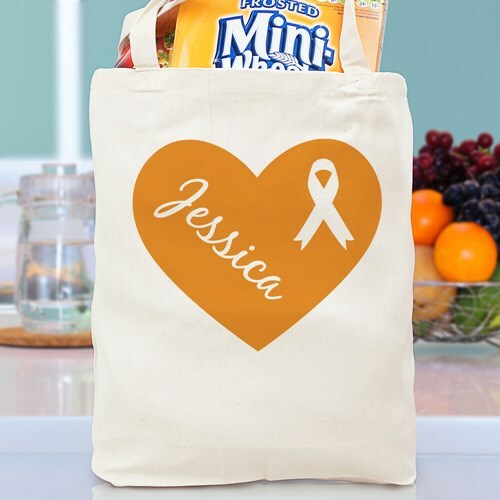 Spread Awareness with your whole heart using this personalized tote bag personalized in one of our 5 design color choices and any name. This Canvas Tote Bag is a 100% cotton Canvas Tote Bag measuring 16"h x 14"w. This tote bag is made especially strong to hold all of your take along items and is great for spreading awareness wherever you go. Great Multiple Sclerosis Gift Ideas, Cancer Awareness gifts and more!